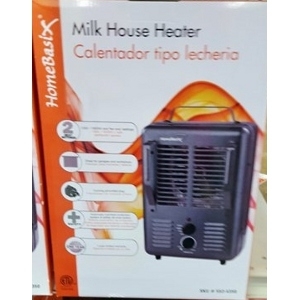 The Homebasix Milk House Heater is great for warming up any small, indoor space! Its quick set control knobs make it easy to operate and adjust. Power light to indicator when in use. Warning light appears to alert you if/when overheating occurs. Internal automatic turn-off when tipped over. Shut-off sensor if/when overheating occurs.